The Cogent DataHub lets you connect to IP and USB cameras, so you can stream live video or images. 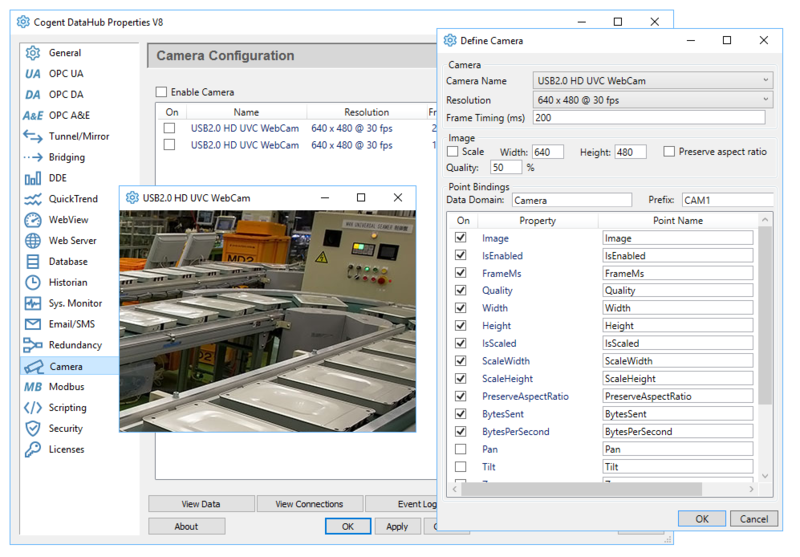 You can embed motion JPEG video into WebView pages, control the camera functions using data points, add timestamps, and do fault detection or motion sensing. The Camera feature can be added to any license pack.